This is clearly a placeholder as our apps, project management site, and other tools and products are hidden. If you are here because you are looking for a prerelease app, access to the source repository and issue tracker, clinical implementation materials, or a research-enabled app, please contact Dr. Hoffman for direct access. Dr. Julia Hoffman is the Mobile Applications Lead for Mental Health Services at the US Department of Veterans Affairs and a Faculty Affiliate at the National Center for Telehealth & Technology, one of the Defense Centers of Excellence. She is a licensed clinical psychologist (CA) who completed her Psy.D. in clinical psychology at the PGSP-Stanford Psy.D. Consortium and a fellowship at Yale University School of Medicine after completing her undergraduate degree at Stanford University. Dr. Hoffman has been involved in creation of numerous technology-based interventions and assessments for web and mobile platforms including, most notably, the congressionally mandated afterdeployment.org and the multi-award winning PTSD Coach mobile app. She currently leads multi-disciplinary teams of subject matter experts, software engineers, user experience designers, project managers, and researchers to build a suite of mobile applications to support Veterans, families, and healthcare providers. She is actively engaged in creation of governance and policy for development and deployment of technologies in Federal systems. Finally, she is an investigator and frequent presenter on numerous trials of technology-based psychological and medical tools. 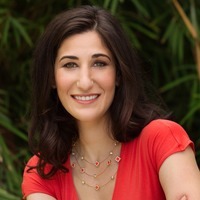 Dr. Hoffman is additionally the Founder and CEO of Behavior Dx, a consulting company that assists in the translation from social science, behavioral medicine, and individual and organizational behavior change to appropriate technology platforms. Although Dr. Hoffman is asked about this service frequently, she does not transfuse vampires with blood. That's the other Dr. Julia Hoffman, who is a psychiatrist (not a psychologist) and has additional training in rare blood disorders.